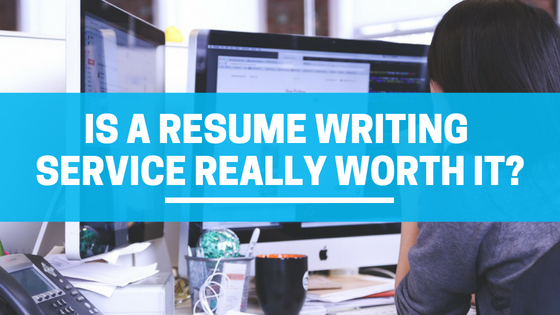 Is A Resume Writing Service Really Worth It? Looking for a job and gainful employment is no easy feat. It can constantly feel like an uphill battle. Not to mention there are a large number of applicants all vying for the same job. Catching the attention of hiring managers with a powerful resume and strong cover letter is vital to your success. Luckily, professional resume writers and writing services like CareerPro Atlanta are here to help you and other job seekers put their best foot forward. But is a professional resume writing service really necessary? Job candidates who have an unfavorable reputation with previous employers or spotty work history may want a writer that is good at spinning a phrase and can help improve their image. If you’ve done physical labor and worked in a technical field but are looking to move into management or an executive level position, your writing skills may need some tweaking when trying to appeal to a different group of hiring managers. Hunting for a job is a costly process. The last thing most job seekers are looking to do is spend more money. But, when you think about all the commuting, buying suits and ties, paying for access to networking events, and coffee meetings, they can add up quickly. The longer you look, the more you’re ultimately going to spend and get nowhere. If you’ve been looking for a career change with no luck, it might be time to invest in a professionally written resume. Of course, one could argue that you could simply do it yourself. However, a DIY resume can pose a problem if you’re no William Shakespeare or Henry David Thoreau. Not everyone develops a comprehensive grasp of the English language. Or grammar. Or syntax. You may be an expert in your field but it’s important to acknowledge what your strengths are and if writing isn’t one of them, best to leave that to someone else. Besides, you should be spending time focusing on growing your own skill set. Let’s say you did take Honors British Literature in high school and you have a cousin that’s pursuing an English major. Surely you guys could draft a resume with a little help from a spellchecker, replete with attention-grabbing words and phrases like, “hard worker”, “motivated” and “team player”. And then what? Each line of your resume is valuable and being unsure of what to include or how to make that 8” x 11” sheet of paper shine is going to stop you from opening any new doors. Resume writers know what information is pertinent and what information is best left on your Facebook profile. Hiring a professional resume writing is going to save you a lot of grief. Resume writers are trained not only to help craft your career story but to compose your resume in such a way that seizes the attention of your prospective employer. An awesome resume is more than just a tally of years worked and degrees earned. A well-written resume will pull the reader’s’ attention to your accomplishments and contributions; the ones they need to know about. A resume writer is trained to find the words to describe all of the value you offer to a potential employer. Your resume is an investment and may give you just the edge you need to bring your job search to an end and land the right job, sooner. Prices can vary greatly but an entry-level resume can cost just a few hundred dollars whereas an executive level resume can cost a few thousand. With any investment, the focus should be on the return. If you invested just $2000 in a professionally written resume and were able to generate a $20k per year increase in your income, would it be worth it? At CareerPro Atlanta we offer entry level, mid career, and executive level services, as well as packages that include both resume and cover letter. Our clients have an unheard of 75% job interview rate compared to regular job seekers. Ready to take your career to the next level? Contact us for more information on how to get started today.